Today is Good Friday in the Christian faith. It is the day many Christians choose to commemorate the crucifixion of Jesus. Many people take the day off work, others fast and schools often close. In linguistics, the word “good” used to mean “holy.” So, for hundreds of years, today would have been known as Holy Friday. In ancient times, there was also a Holy Wednesday on the calendar. In high church liturgy, this is the day when people would read the scripture about the betrayal by Judas. It was also called Spy Wednesday at one point. According to Catholic Online it is a time to reflect and meditate on good, to pursue life and light, and to choose the morsel offered by Jesus instead of the evil path of the world Judas took. Each and every day should be such a day for us. • Fasting. Some people spend the day in a complete fast or eating only minimal food. • Abstinence. Some abstain from eating meat, although fish is considered acceptable. • Silence. Many people choose to remain silent from noon to 3pm, the hours Jesus is believed to have remained on the cross. • Tasks. Many people will spend this time doing a chore they dislike, perhaps cleaning, to illustrate the dread of the day. • Planting. Many people plant seeds on Good Friday to illustrate how Christians are to spread seeds to others and how life came from death. 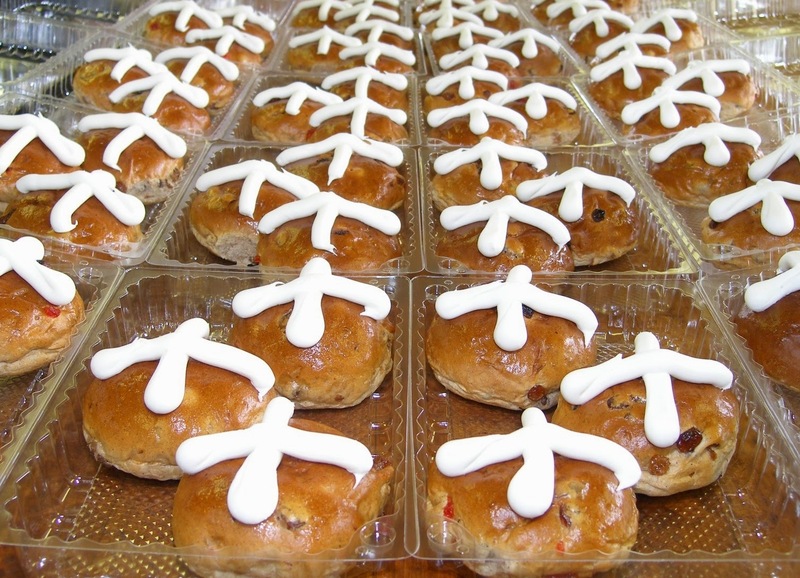 Another interesting tradition, that i have not tried, is baking (and eating) hot cross buns. These are usually sweet rolls with a cross shape in the top but they can be any bread. According to tradition, monks baked them in the middle ages for the poor as a way to spread the news of Christ on Good Friday. No matter what you do today, some of us have to work, there is one important thing to remember. The tomb was empty. Jesus bore your sins on the cross, but he defeated death and the grave and he’s offered that victory to you as well. Walk as children of the light (Ephesians 5:8).